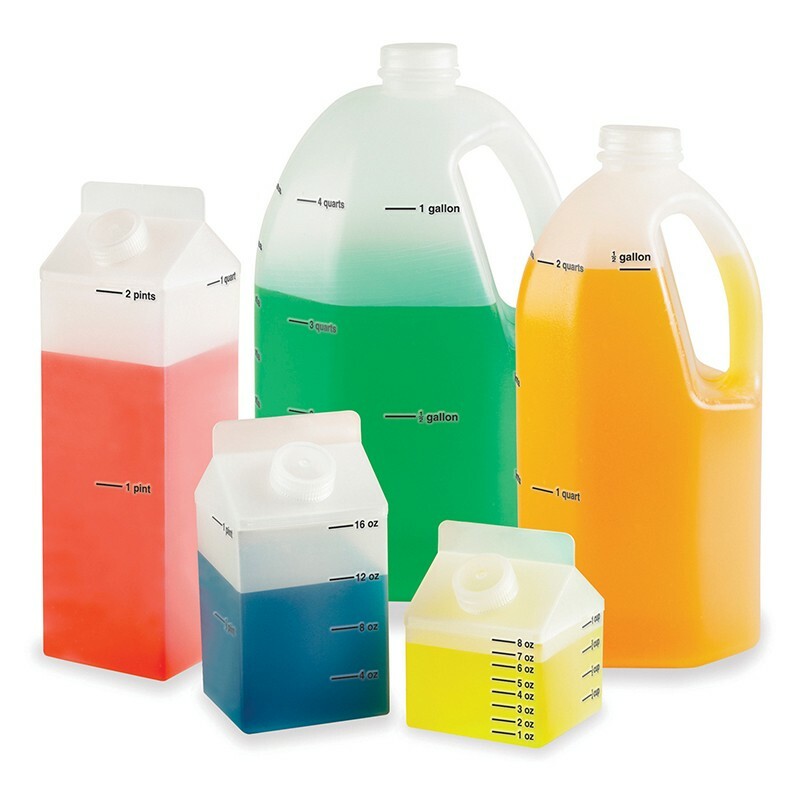 This 5-piece liquid measuring set is designed to resemble familiar household containers for easy recognition of common liquid capacities: a gallon, half-gallon, quart, pint and cup. Sturdy plastic set features clear markings of equivalencies. Great for life-skills activities, science experiments, classroom demonstration and individual exploration of liquid measurements and related topics. Guide with suggested activities and conversion tables included.